Best-Selling Guesstures game in Bible Edition. Act up, Act fast. 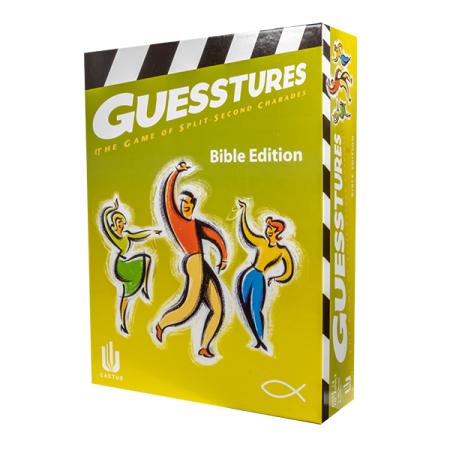 Guesstures, The best selling game of split-second charades now comes in a fun-filled Bible Edition. Quick. You only have few short seconds per word. 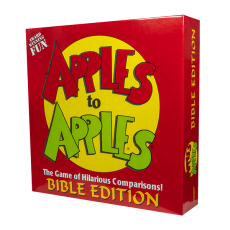 Your four words this round are "Baptize," "Cross," "Moses" and "Lamb". It looks easy, but it's not. 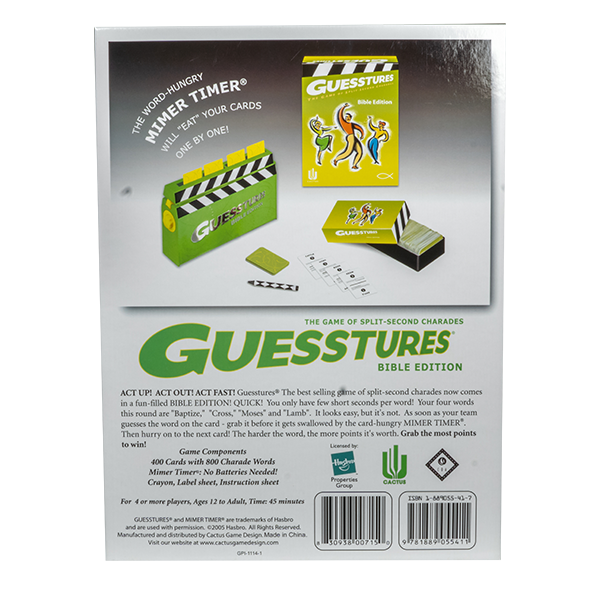 As soon as your team guesses the word on the card - grab it before it gets swallowed by the card-hungry MIMER TIMER. Then hurry on to the next card. The harder the word, the more points it's worth. Grab the most points to win. Act up, Act fast. 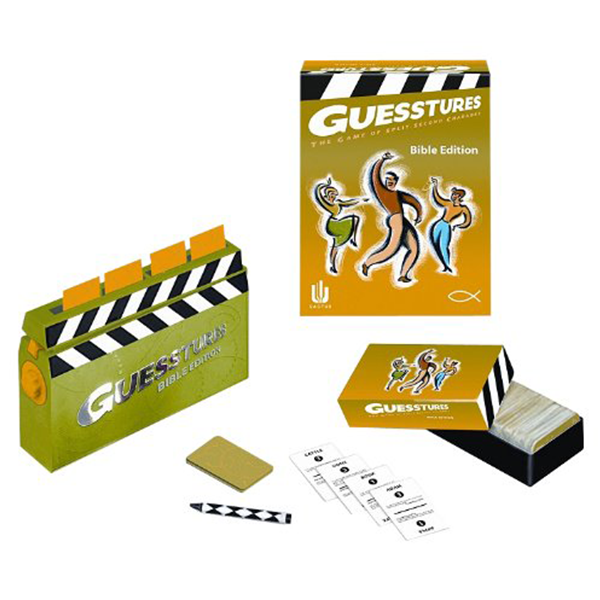 Guesstures, The best selling game of split-second charades now comes in a fun-filled Bible Edition. Quick. You only have few short seconds per word. 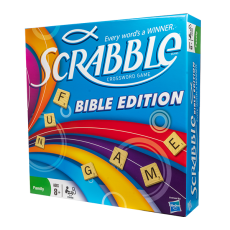 Your four words this round are “Baptize,” “Cross,” “Moses” and “Lamb”. It looks easy, but it’s not. 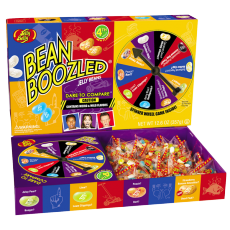 As soon as your team guesses the word on the card – grab it before it gets swallowed by the card-hungry MIMER TIMER. Then hurry on to the next card. The harder the word, the more points it’s worth. 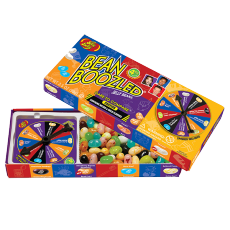 Grab the most points to win.